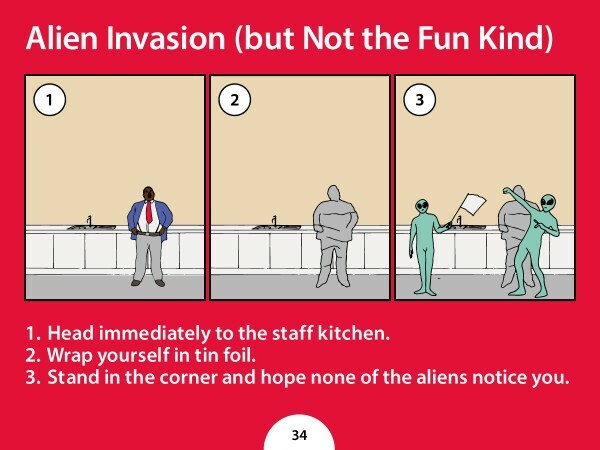 Tired of employees taking no notice, one HR department created some ridiculous health and safety guidelines to see if anyone even read them. A comprehensive health and safety guide is essential for the wellbeing of both employees and employers but getting people to pay attention to the documents can be a daunting task – now, one HR department has devised a novel way of knowing exactly who took notice. 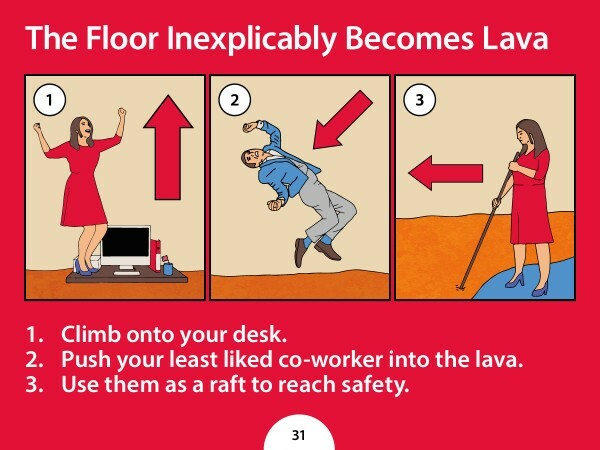 Office supply company Viking Direct were in the process of updating internal health and safety documents when they realized that, despite being important, very few staff found them engaging or enjoyable to review. 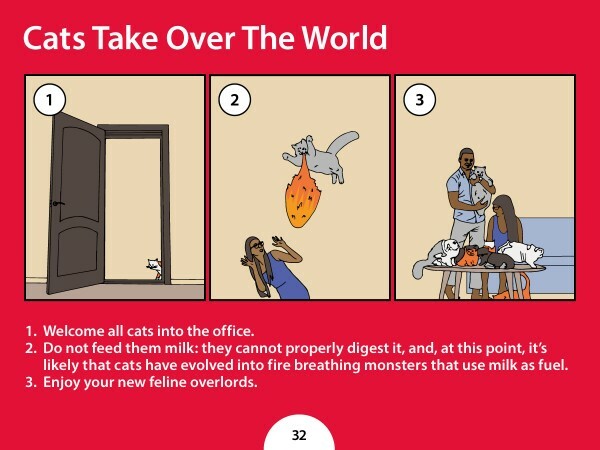 “To remedy this, we decided to have some fun, and test whether our employees read all of the way through the new guidelines, by including some very questionable emergency situation advice,” reveals the UK-based company. 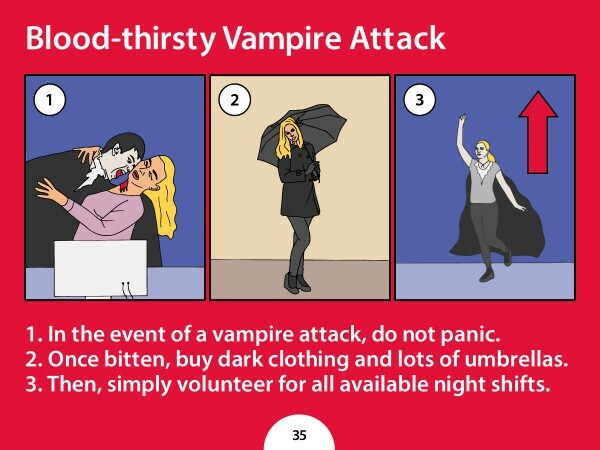 The accompanying illustrations were produced in the same style as Viking Direct’s standard emergency procedure instructions so as not to stand out. European HR business partner Gemma Terrar said the entire team had supported the idea from the moment it was suggested. “When someone in the department suggested this, we knew, without doubt, that we had to do it. Keeping it secret was the hardest part, especially since we had to find someone to help us put the images together,” she said. “In the end, we were really impressed with the reaction. It really shows that our staff is attentive and invested in everything that goes on here."